No, we are not an agency. Our job as a casting company is to work with the studio, production company, ad-agency, or other client to find the best talent for their job. Our submissions to our clients come from a thorough search of our database for unrepresented talent and submissions from the talent agents in our area. How can I get audition notices from you? 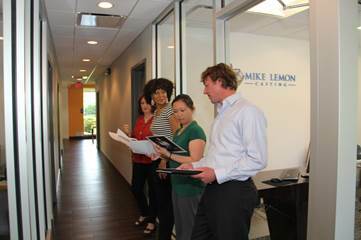 To be considered for our castings, you must first fill out a talent application at www.mikelemoncasting.com. Once the form is complete, you will be automatically entered into our online database and will receive email notices for upcoming auditions. We don’t accept hard copies of headshots & resumes. The online application is the only way you can register with Mike Lemon Casting! It is your responsibility to keep your information updated at all times! This includes your contact information, resume & photos. 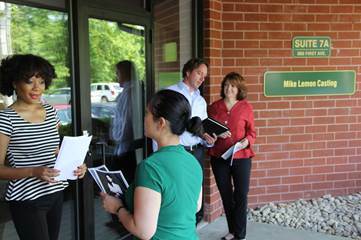 We work with all of the agents in the area! Each agency has a different submission policy but most will require that you have a headshot & resume before they will consider you for representation. We recommend doing a Google search for Talent Agents in your area and meeting with a few different agencies before making a decision on who to sign with. How do I self-submit for an audition? Try to find someone else to record it for you – it’s better when you aren’t holding the camera yourself. Try not to use the camera on your computer as it will distort the image. Record in a well-lit spot that is quiet. We need to see and hear you! For videos, don’t wear white, black or neon colors. Slate your name before you start the piece. Save the file with your name in it and use the file formats as described on the job description. You don’t want your recording to get lost. What is expected at a booking? Be on time! If you are stuck in traffic or have an emergency call your agent or us immediately to let us know! If asked to bring wardrobe, make sure that everything is clean and presentable. If you don’t have something, let us know before the shoot. Be professional and courteous to everyone on set! Please don’t complain to our client or disrupt the set. If you have any issues, contact your agent or us directly and we will handle the situation. Most of the time when you are booked on a job through us, we will pay you directly. When you have finished a job, please email us an invoice with the following information: project name, date(s), time(s), amount due and all of your payee information. We will send you a check as soon as we get paid by the client. Normally we invoice the client with a net 30 day payment policy but some can take 60 or even 90 days after a project has finished. 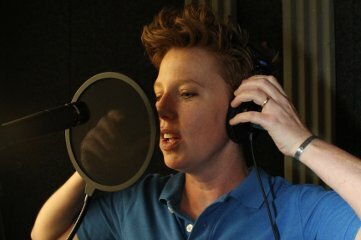 I’m only interested in voice-over, how do I get started? In order to work in voice-over, we recommend putting together a demo-reel which can be updated directly to your AgencyPro account if it’s Active. We use AgencyPro exclusively to manage our online talent database. This software has completely replaced our need for hard copies of headshots and resumes and has greatly improved the efficiency with which we can run a casting session.